“We always strive with our PistenBully to give our customers the best technology that is available on the market”, says Raimund Mayer, Head of Service at Kässbohrer Geländefahrzeug AG. That's why the development team of the PistenBully manufacturer from Laupheim works continually on refinement, research and extensive testing. The resulting high standards are easily met by the PistenBully BS909SQ winch rope newly developed by the experts at Teufelberger Seil Ges.m.b.H. The new PistenBully BS909SQ winch ropes are available as of now for all replacement purchases. “We have very deliberately chosen to change the rope and the supplier, because the new PistenBully BS909SQ winch rope from Teufelberger is superior in many ways to the previous PWtrac® rope used in the PistenBully winch”, adds Raimund Mayer. 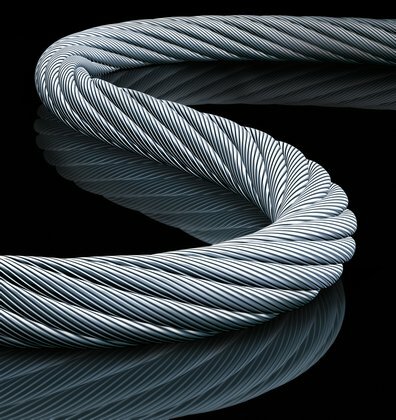 Both ropes were designed for the winch in collaboration with Kässbohrer Geländefahrzeug AG. Other ropes available on the market were developed without the input of the Laupheim experts. Only ropes sold by Kässbohrer are approved for PistenBully winch vehicles.